Santa Cruz Bioidentical Hormone Doctor - Audra Foster N.D.
Santa Cruz Bioidentical Hormone Doctor, Audra Foster, N.D. is a licensed, board-certified doctor of Naturopathic Medicine. She graduated from Pitzer College with a Bachelors of Art in Pre Med and Neuropsychopharmacology. Dr. Foster earned her doctoral degree in Naturopathic Medicine from Bastyr University, the leading center of natural health education and research in Seattle, Washington. Her clinical training took place at the Bastyr Center for Natural Health and she graduated in 1997. Audra Foster, N.D. also pursued a license in midwifery while in Seattle. She completed a year residency as a Naturopathic Doctor and Midwife at a birth center in Seattle. Dr. Foster is a member of the American Association of Naturopathic Physicians, as well as the California Association of Naturopathic Physicians. Medicine has always been Dr. Foster’s passion, but helping patients develop a lifestyle of healthy living is what prompted her to become a Naturopathic Doctor. Her private practice is based upon general medicine, with an emphasis in Women’s Health and she specializes in bioidentical hormone balancing for men and women, as well as a wide variety of menopausal and gynecological concerns. Dr. Foster has many years of experience treating chronic illnesses and disease through natural methods of healing. Her goal is to help patients reverse illness and to prevent or slow further degeneration. Because preventative medicine is applied to each patient, nutrition, exercise, and stress management are always a part of a patient’s treatment plan. Her treatment modalities include botanicals, homeopathics, nutriceuticals, bioidentical hormones, plus other forms of alternative medicine. As a Naturopathic Doctor, she is able to order labs and diagnostic tests, as well as taking care of women’s annual gyn/pap exams. “It has been a privilege to live and practice in California, and I believe that with the honor of being a Doctor, comes a dedication to humanity to improve the health and well being of our community”. 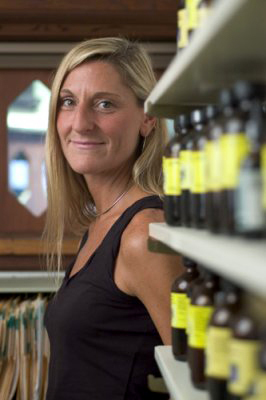 Contact Santa Cruz Bioidentical Hormone Doctor, Audra Foster, N.D. today at 800-775-4902 Ext. 525 to schedule your FREE Bioidentical Hormone Consultation!